Well okay, so not quite instant but darn near close! After a wonderful camping weekend you have to clean up your campsite, pack everything, unpack it again when you arrive home, put it away, wash the laundry, and get ready for work the next day. With all this to do, who wants to cook dinner? Well there’s a solution for this! While camping we make one of our meals in a dutch oven. This can be something such as beef stew or chili that provides enough servings for two or three meals. This last weekend I made beef stew and then put some of the leftovers in a container for the next day’s camping dinner. 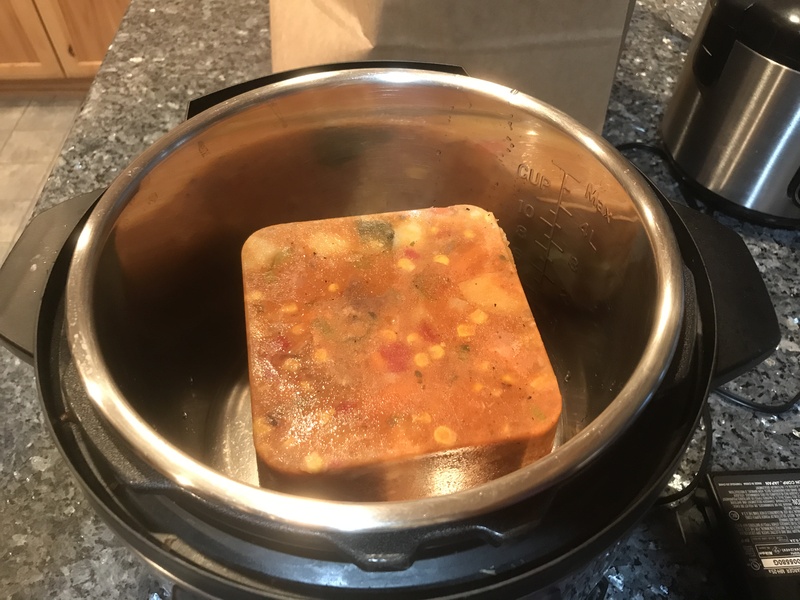 The remainder of the stew was put in another container and frozen. If you’re tent camping or your RV doesn’t have a freezer, the meal can be put in a cooler packed with dry ice. We have a Pelican cooler, but any of the larger, heavy duty coolers will work. We’ve even put dry ice in a Coleman cooler once, and it worked well. Now here’s the best part of this tip. After unpacking everything and you’re too tired to make dinner all you have to do is put the frozen meal in your Instant Pot! Add enough water to cover the bottom of the pot, then cook on manual for 15-20 minutes, let the Instant Pot naturally release pressure for about 10 minutes and dinner is done!